Good stuff Wafflez. Worth pointing out Mendy was injured 5-7 and 13 too, so Sane only played twice with Mendy available. He (Sane) did however post an average of 10,5 per match in those two, but yeah, unless Pep changes what he has done last season and this they won’t play toguether many times. 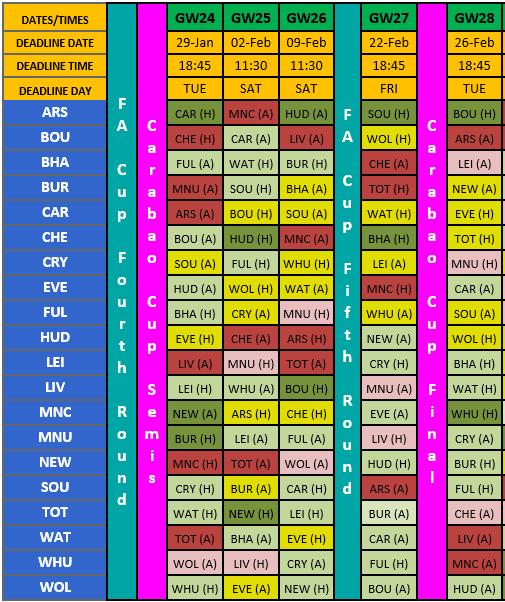 GW18-23; 5 red arrows and 1 green arrow: I have the same pattern last 4 years…clearly my middle game strategy is not good. Anyone is facing a similar consistent pattern? What could possibly go wrong during this period? OR dropped from 14k to 42k. 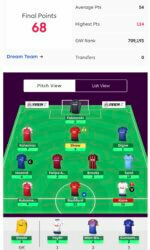 Points: 48, 68, 50, 42(-8), 78(green), 63 —- 34 points in Gw21 killed my rank. Is it that there is a fixture swing and I miss it? Luckily for Kamara owners, if he is charged of a criminal offence they’ll be given a FT to transfer him out.